Ultra-thin LUMINEERS are custom designed to give you the beautiful smile you have always dreamt of. Unlike traditional veneers, there is no drilling of sensitive tooth structure. Lumineers are even reversible, so if there’s something you don’t like about them, you can always change it. With the new technology, it takes only 2 easy visits to Lumident to bring out your beautiful smile. During your first visit, a precision mold will be taken. You and your dentist will also choose the right shade for your new, permanently white smile. On your second visit, your custom designed LUMINEERS are checked for fit and shade, and then painlessly attached to your teeth. That’s it – a healthy, natural, permanently white smile you’ve always wanted, in only 2 visits! At Lumident, we use high-tech dental lasers to provide you with optimal care and unparalleled versatility. Lasers have revolutionized the way we practice dentistry, as they have allowed us to perform more procedures, in less time, with better results than traditional methods. Patients also benefit from a higher standard of care, experiencing faster treatment and healing times with less overall discomfort. •Procedures performed using soft tissue dental lasers may not require sutures (stitches). •Certain laser dentistry procedures do not require anesthesia. 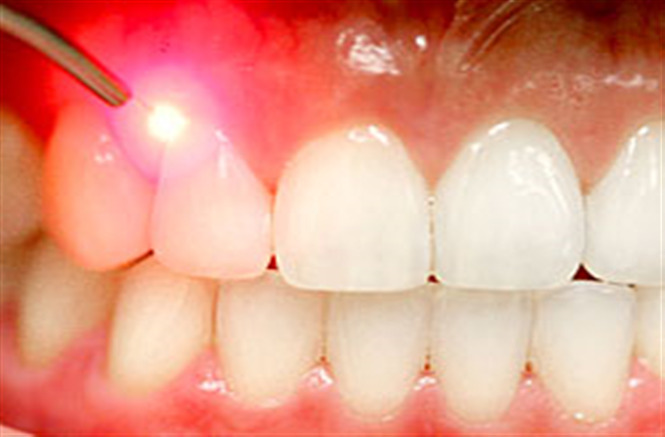 •Laser dentistry minimizes bleeding because the high-energy light beam aids in the clotting (coagulation) of exposed blood vessels, thus inhibiting blood loss. •Bacterial infections are minimized because the high-energy beam sterilizes the area being worked on. •Damage to surrounding tissue is minimized. •Wounds heal faster and tissues can be regenerated. •Crown Lengthening: Dental lasers can reshape gum tissue (soft tissue laser) and bone (hard tissue laser) to expose healthier tooth structure. Referred to as crown lengthening, such reshaping provides a stronger foundation for the placement of restorations. •Gummy Smile Remodeling: Dental lasers can reshape gum tissue to expose healthy tooth structure and improve the appearance of a gummy smile. •Muscle Detachment (Frenula): A laser frenectomy is an ideal treatment option for children who are tongue tied (restricted or tight frenulum) and babies unable to breast feed adequately due to limited tongue movement. A laser frenectomy may also help to eliminate speech impediments. •Removal of Soft Tissue Folds (Epulis): Dental lasers may be used for the painless and suture-free removal of soft tissue folds often caused by ill-fitting dentures. •Benign Tumor Removal: Dental lasers may be used for the painless and suture-free removal of benign tumors from the gums, palate, sides of cheeks and lips. •Cold Sores (Herpes) Treatment: Low intensity dental lasers reduce pain associated with cold sores and minimize healing time. •Nerve Regeneration: Photobiomodulation can be used to regenerate damaged nerves, blood vessels and scars. •Temporomandibular Joint Treatment: Dental lasers may be used to quickly reduce pain and inflammation of the temporomandibular jaw joint. •Teeth Whitening: Low intensity soft tissue dental lasers may be used to speed up the bleaching process. This is a tiny camera that we use at Lumident, and which fits easily into your mouth and sends large colored images of your teeth and gums. These images can be printed out for your treatment file. 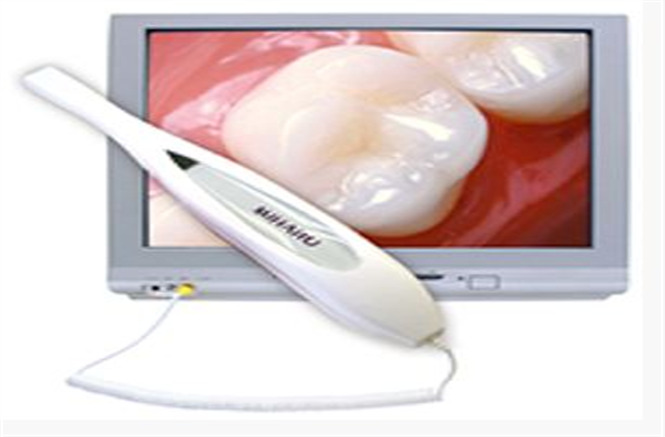 We can also use the camera to record all aspects of dental aesthetics, as an aid to treatment planning. Sedation is the reduction of irritability or agitation by administration of calming drugs, generally to facilitate a medical or diagnostic procedure. It is typically used in dentistry for reconstructive surgery, some cosmetic surgeries, removal of wisdom teeth, or for high-anxiety patients, children and adults alike. Unlike General Anesthesia where a patient is completely unconscious and unable to respond, patients under Conscious Sedation are able to respond to commands and breathe on their own. The sedation method we use at Lumident is Inhalation Sedation, via Nitrous Oxide gas (also known as the laughing gas). 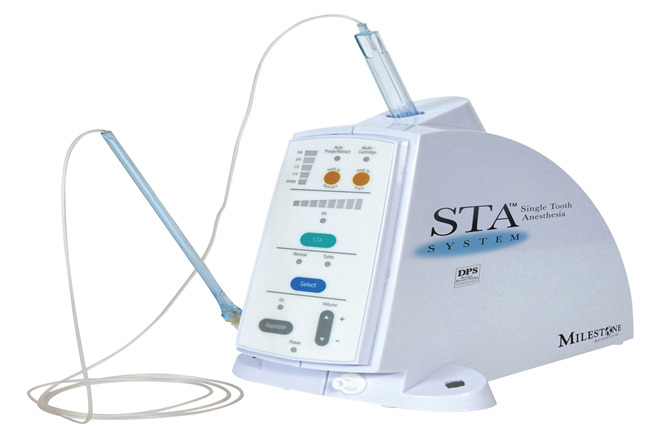 This is the most frequently used sedation method in dentistry, whereby all bodily functions remain normal and the patient experiences a sense of euphoria, and later, amnesia for what happened in the appointment. It can be used for children and adults alike. An advantage of this technique is that most people receiving it recover promptly and may be permitted to leave our dental office unescorted and resume normal activities immediately. At the click of a mouse, your clinical records are at hand. We can update your details immediately, discuss photos and x-rays at the chair side and forward your digital details to specialists whenever you need. This allows accurate and prompt follow up without the delay of paperwork. The Single Tooth Anesthesia utilized at our clinics is the first computer-controlled local dental anesthetic system where just one injection at a single tooth is all that's needed to safely ensure single-session injection precision. It is even highly effective for multi-quadrant cases. Single tooth anesthesia means that our dentists get right to work - with faster onset - and you return to your regular activities without collateral numbing. At Lumident, you can straighten your teeth without wearing braces! 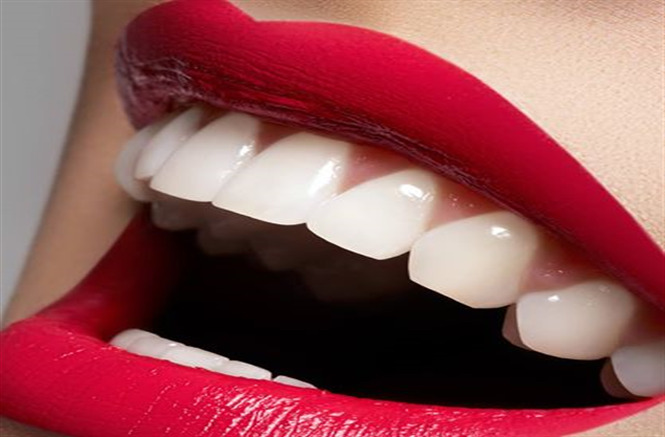 You will wear an invisible aligner which can be made by a single impression, and which will correct minor crowding and cross bites. Customized: Your orthodontist will take precise impressions and customize your aligner uniquely for your teeth. Effective: Even before your treatment is finished, your teeth alignment will improve and you will begin enjoying the benefits of a better smile. Removable: You can remove the aligner to eat, drink, brush and floss, or for special occasions. Comfortable: The edges of the aligner are smooth, so they will not irritate your gums or cheeks. 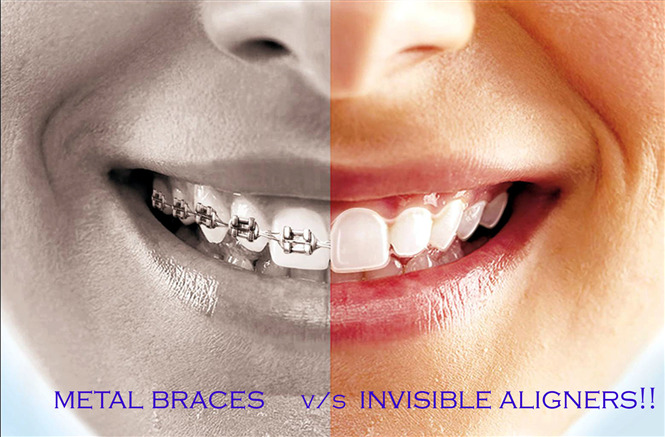 Transparent: The aligner is virtually invisible, so hardly anyone will know you are straightening your teeth. CEREC (Chairside Economical Restoration of Esthetic Ceramics, or CEramic REConstruction) is a dental restoration product that allows our dentists at Lumident to produce a ceramic dental restoration using a variety of computer assisted technologies. With CEREC, teeth can be restored in a single visit, rather than the multiple visits required with earlier techniques. Additionally, with the latest software and hardware updates, crowns, veneers, onlays and inlays can be prepared, using different types of ceramic material. Most dental restorative methods require more than one visit to the dentist. On the first visit, you get an injection of anesthesia, your tooth prepared, an impression taken, and a temporary restoration put on your tooth. On the second appointment (which is usually 14 days later), you get another injection, have the temporary removed and have a permanent restoration put on. With CEREC, the procedure is done in a single appointment, start to finish. Your dentist uses strong, tooth colored ceramic materials to restore your teeth to their natural beauty and function. These materials highly match the composition of natural tooth structure. Exam and Preparation -- Your dentist examines your teeth, decides on the preparation method and starts removing the decay from your tooth. Optical Impression -- An optical impression (picture) of the prepared tooth is taken, i.e. there is no need for unpleasant impressions. Construction of Restoration -- Your dentist uses the CEREC machine to design and create your tooth filling, dental crown or veneers, right in the operatory, while you wait at your chair. At Lumident, we use physical, chemical and biological indicators to make sure that our sterilization process is complete and effective. Our physical indicator is a paper slip that is printed by our autoclaves after completion of the sterilization cycle, and that indicates whether the sterilization process has been positive or negative. 1. Instrument packaging bags that change colour upon complete sterilization. 2. Slips that are placed with every autoclave load and that also change colour in case of effective sterilization. 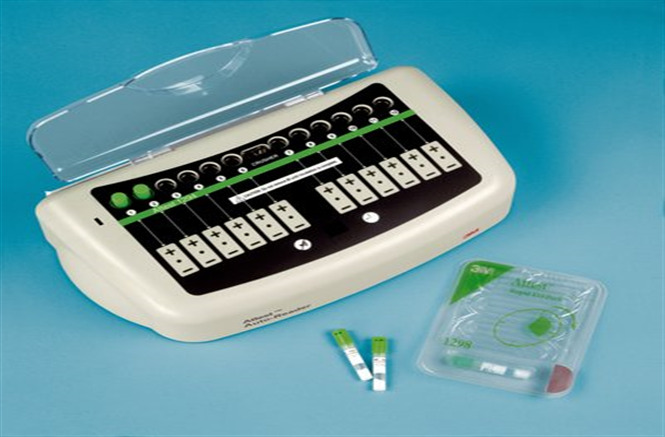 A biological indicator (BI) is the only type of monitor that provides direct evidence that sterilization process conditions are sufficient to kill spores. It uses microbes that are highly resistant to the type of sterilization process we are monitoring. When the high number of highly resistant microbes contained inside the BI die during sterilization, we can be confident that the fewer, less resistant microorganisms found on dental instruments have also been killed. BIs can detect even marginal sterilization failures, and are considered to be the "gold standard" of sterilization monitoring.